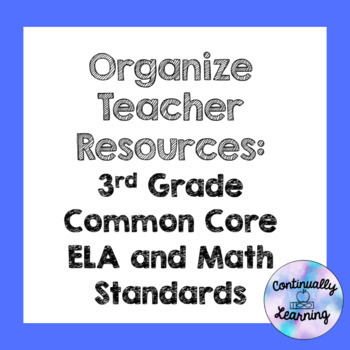 This product is standards to print to organize teaching resources. This includes all standards in Math and ELA for 3rd grade. 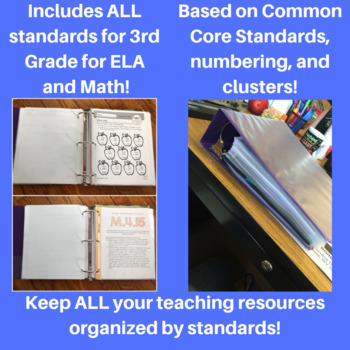 Every standard includes the Common Core numbering and cluster. One standard per page. Standards are also color coordinated for each domain.